An award-winning journalist tells the story of how her formerly charmed life in which “lost things could always be replaced” came to a brutally abrupt end. Unflinchingly candid and occasionally heartbreaking. 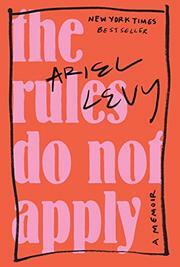 Since childhood, Ariel Levy has been relegated to the terrible “too”s— too ardent, too aggressive, too male, too much.